The Department of Justice and FBI have been stonewalling Congress and blocking Trey Gowdy from seeing the documents that started the Trump-Russia witch hunt. Together, we pressured Congress into holding these Deep State officials accountable and Jeff Sessions blinked. He allowed Devin Nunes and Trey Gowdy to see the documents and now we know why they were trying so hard to hide them. 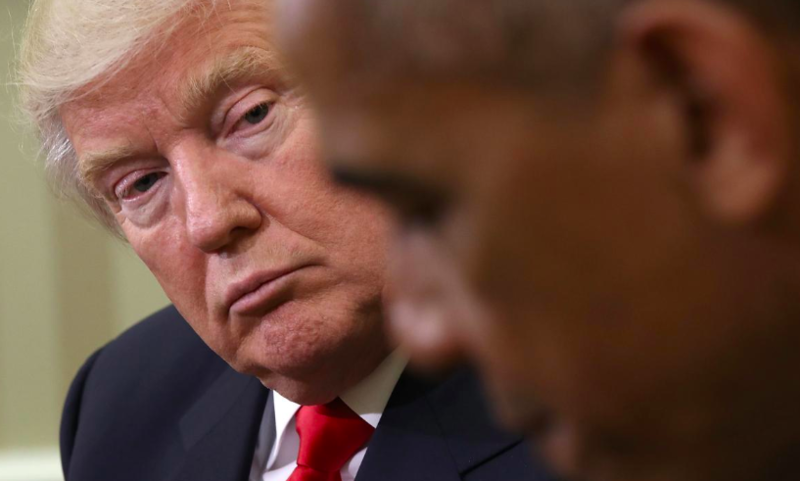 The Obama administration used an FBI spy to infiltrate the Donald Trump campaign. Enough is enough. It is time to tear the entire deep state down and charge every Obama official who was involved. If you do anything today, please join this campaign! Send your instant FaxBlast to Congress and FORCE them to seize these DOJ documents and file charges against these Obama era criminals! We now know why the Deep State officials in the DOJ and FBI have been trying to hide the Trump-Russia witch hunt documents from you and your colleagues. The Obama administration used an FBI asset to infiltrate the Donald Trump campaign. Last year, the Donald Trump accused the Obama administration of wiretapping him. It took months, but we eventually learned that the Obama administration had secured a surveillance warrant against Trump's advisor. Then, we saw that Deep State officials were listening in on Mike Flynn's phone calls during the Presidential transition. How did they get the ability to spy on Trump? They used the Clinton campaign's opposition research -- the bogus "dossier" -- to convince a judge to give them a warrant. But now we know they went beyond that. They actually placed a spy inside of the Donald Trump campaign. That spy then relayed information to the political leadership in the Department of Justice. We know that Barack Obama himself was briefed on the FBI's surveillance of the Trump campaign. And yet, the only ongoing investigation is Robert Mueller's witch hunt against President Trump. It is clear that the entire Trump-Russia investigation was born out of fruit of the poisonous tree. The entire start to the witch hunt was illegal. The Obama administration was spying on the Trump campaign and then used the Clinton campaign's opposition research to make the surveillance official. You need to seize these DOJ memos and documents. Right now, Deep State operatives are withholding them from Congress because they know they show evidence of crimes. You need to use every power at your disposal, including the House Sergeant at Arms, to seize these documents. Then, you need to pass criminal referrals for every Obama official who was involved in these crimes. If the evidence shows that Obama was involved, then he needs to be charged too. You can't ignore this. A sitting President's administration placed a spy in the opposition party's presidential campaign. This isn't just unethical, it is illegal. If you won't treat this with the seriousness it deserves, then I will have no choice but to consider you in on it and then work around the clock to see that you are replaced. That is a threat and a promise.